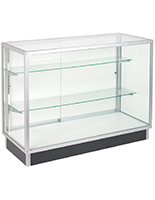 These glass display case configurations are great for selling watches, antiques, collectibles, and other merchandise. 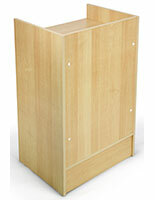 This type of retail display features clear adjustable shelves that keep items highly visible. 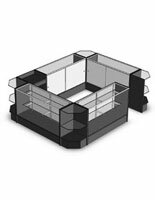 The display case configurations have a silver lining that creates a sleek, professional appearance. The 8-piece sets include three corner showcases and five longer showcases for collectibles. 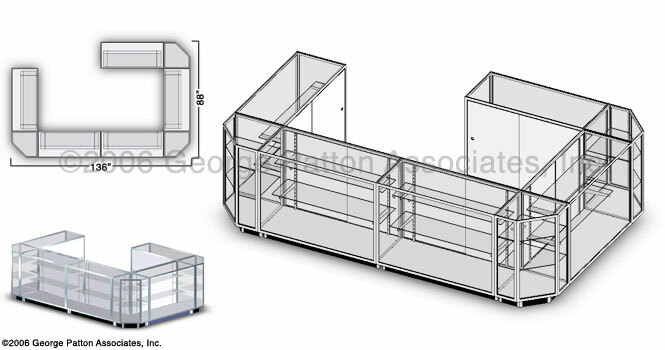 The silver retail display configurations feature sliding doors that will lock to keep merchandise safe. In addition, the kits' shelves have an adjustable design for accommodating large items. 136.0" x 38.0" x 88.0"